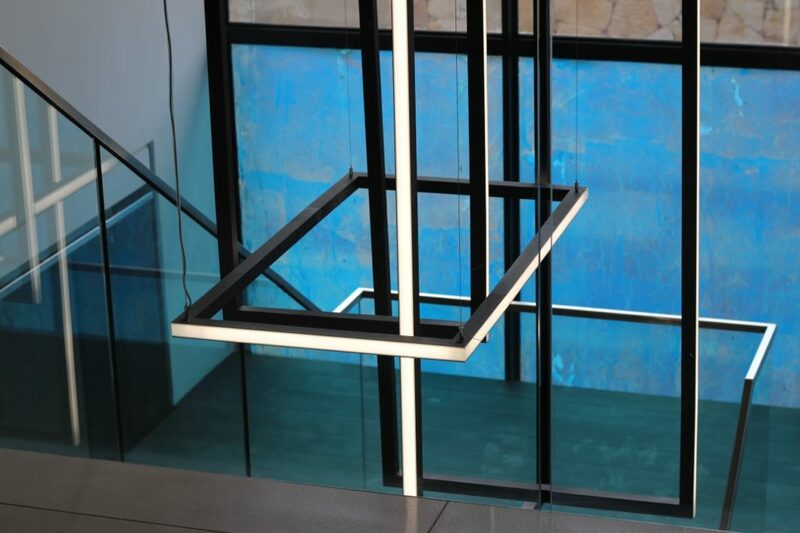 The Houghton on 12th Penthouse Apartment features a unique custom pendant specifically manufactured for this project. 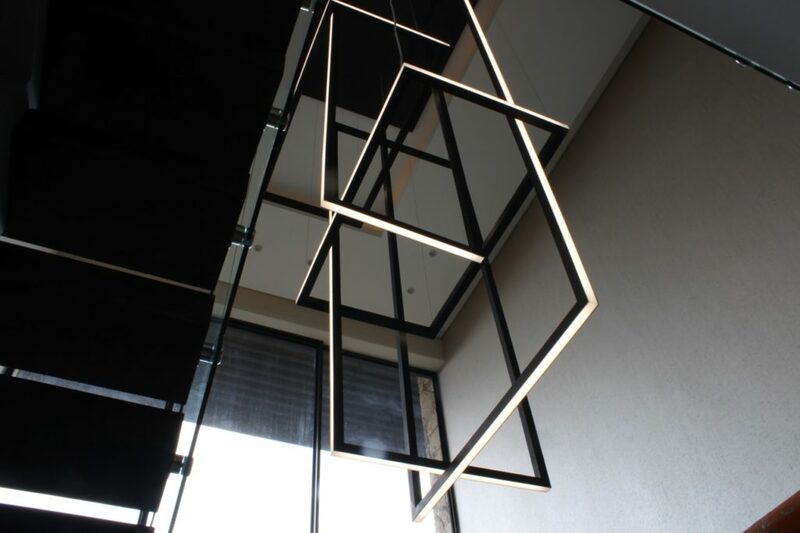 The initial concept and design for this magnificent suspended pendant was commissioned by Head Interiors. 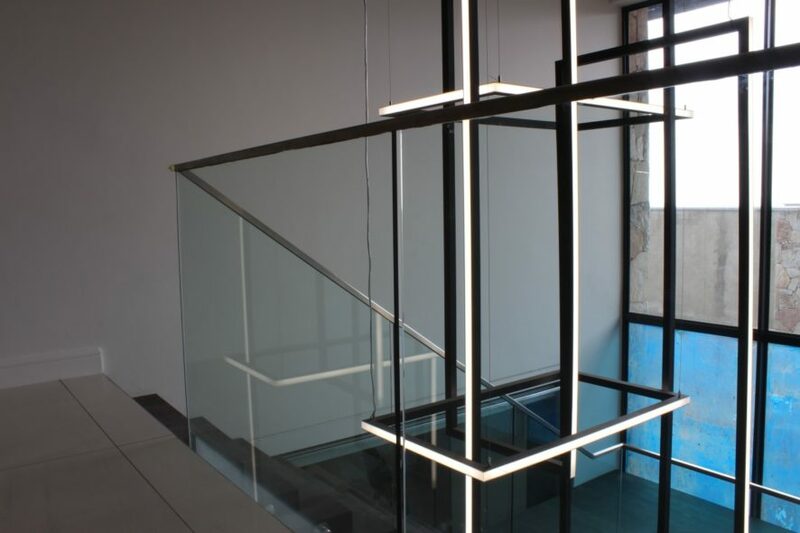 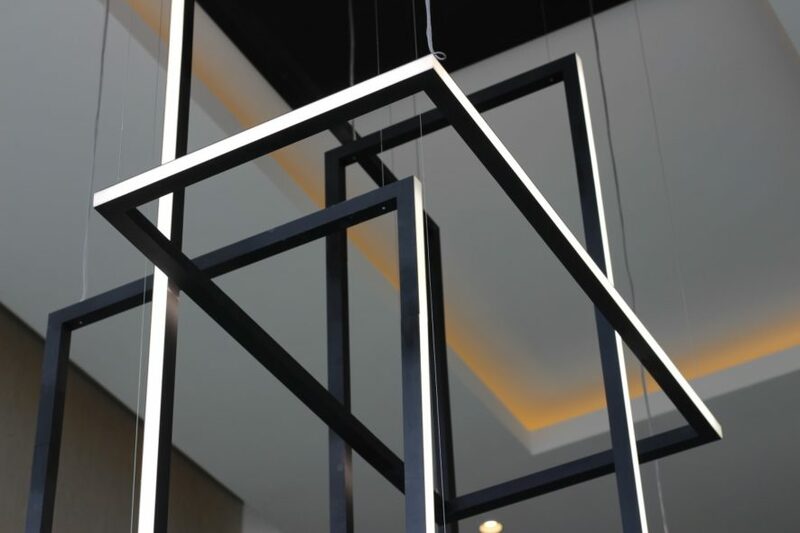 The pendant itself consists of 5 individual rectangular Linear Micro pendants suspended at different heights in a combination of horizontal and vertical configurations. 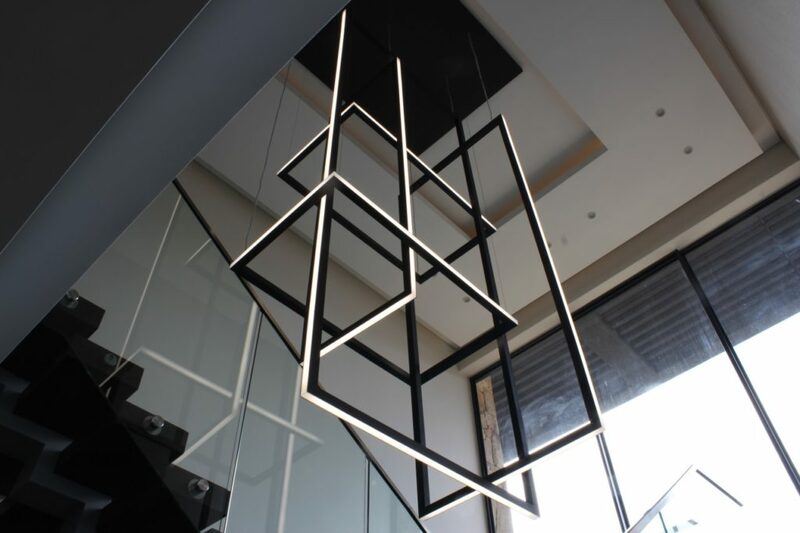 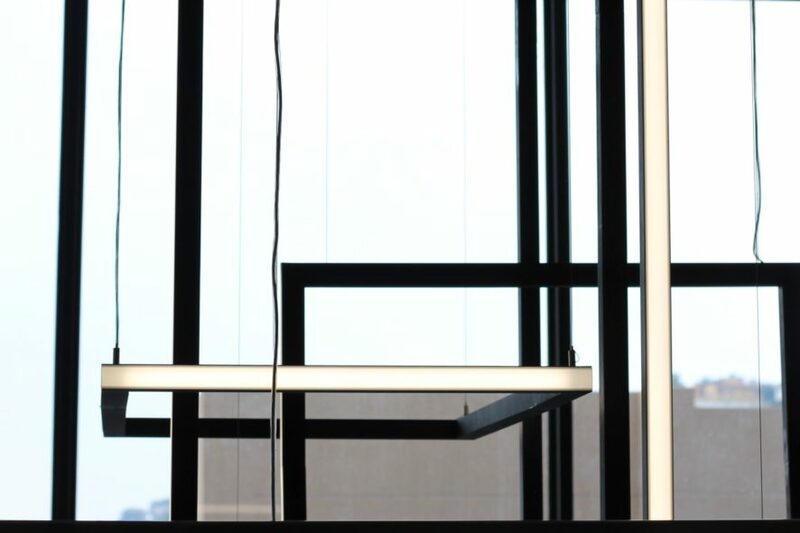 This pendant is suspended 3700mm from the ceiling Linear Micro Pendant, LED 12W p/m 3000K. The base plate from which the pendant is suspended from the ceiling & houses the required drivers that are remotely placed. 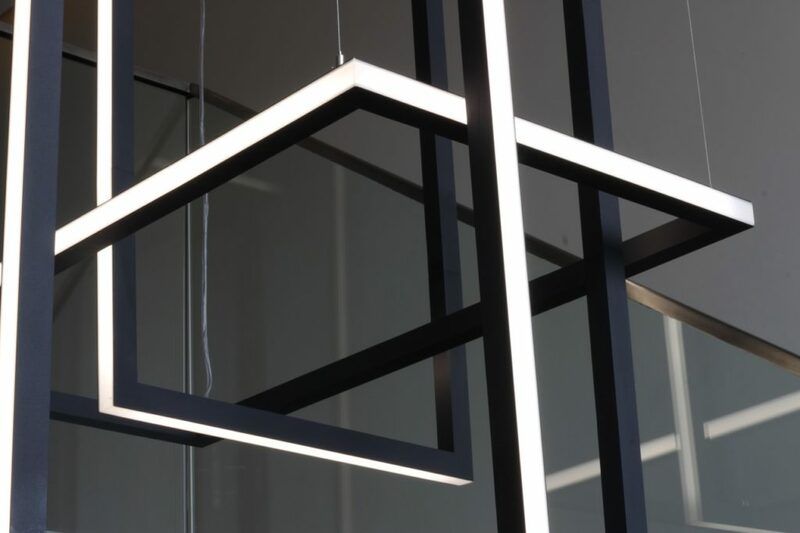 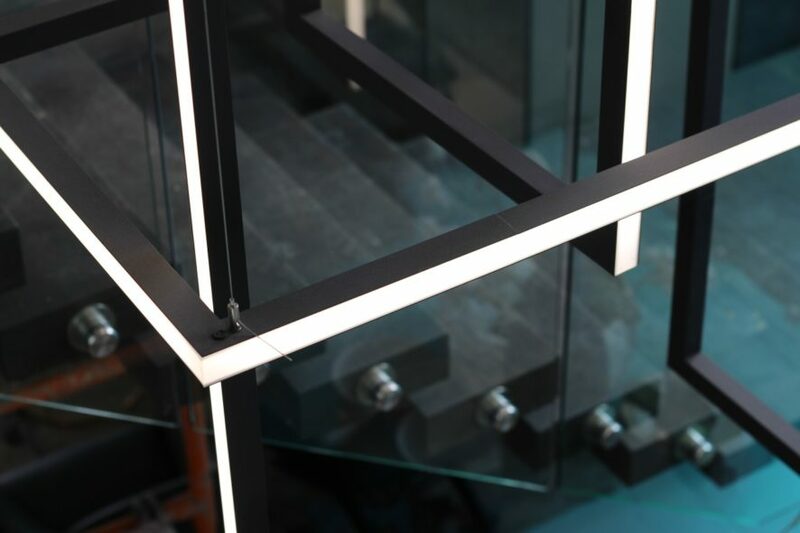 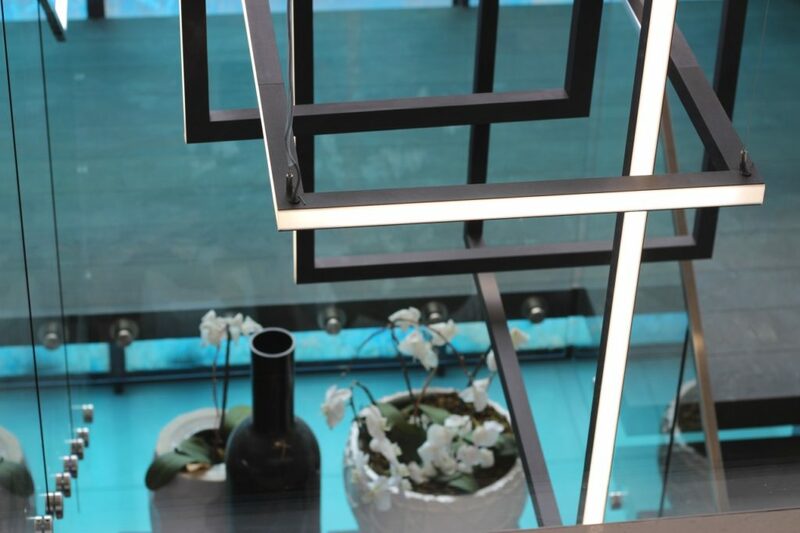 The linear micro profile has been utilized in such a way that the extrusion has a smooth back with a clean finish, the diffuser faces outwards to create the illusion of a light wrapped geometric profile with interlocking features. 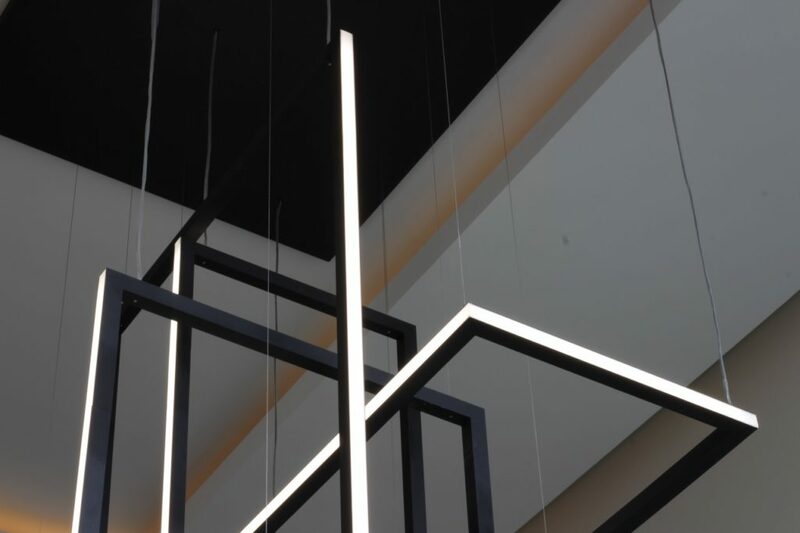 Linear Micro Pendant, LED 12W p/m 3000K.